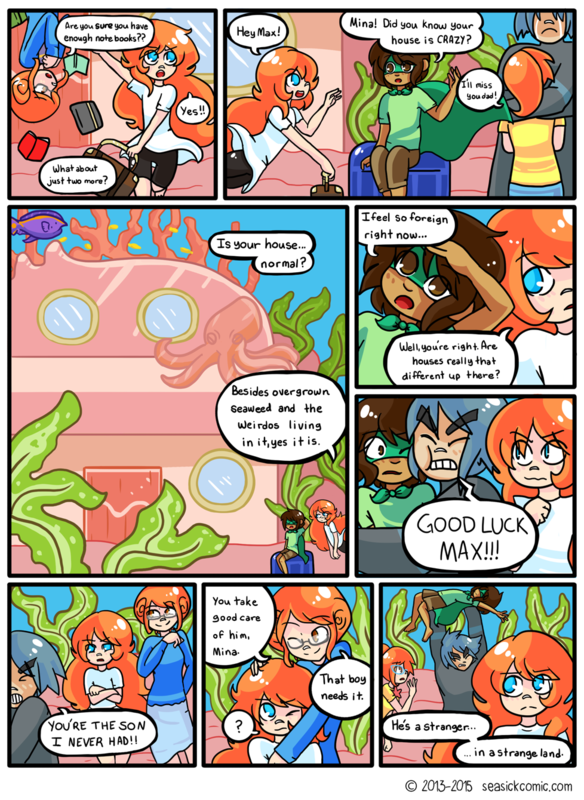 chapter-one-page-twenty-nine/ – Seasick – The Underwater Adventure Comic. Updates Fridays! Hey!! I hope you enjoy today’s page! Because of the winter holidays and the end of the uni semester coming up, Seasick will be taking a hiatus for two to three weeks. I will keep you guys updated on my Twitter as this may change depending on whether I can get our laptop fixed or not. For now, hope you enjoy today’s update, and thank you for sticking with Seasick thus far!